Former HELLHAMMER/CELTIC FROST and current TRIPTYKON singer, guitarist, and main songwriter Tom Gabriel Fischer (a.k.a. Tom Gabriel Warrior) was interviewed on the April 25-27 edition of Full Metal Jackie's nationally syndicated radio show. You can now listen to the chat using the Podbean widget below. TRIPTYKON and Century Media Records/Prowling Death Records have announced a special limited-edition box set of the band's second album, "Melana Chasmata", containing the album's main Mediabook CD edition as well as a selection of unique TRIPTYKON paraphernalia. The "Melana Chasmata" Mediabook features a 32-page booklet and an additional 12-panel fold-out cross-booklet; the paraphernalia comprises a silver TRIPTYKON "T" necklace, 2 specially manufactured TRIPTYKON candles, a TRIPTYKON tote bag, a poster, and 3 postcards. The box set will be limited to 2000 copies worldwide. 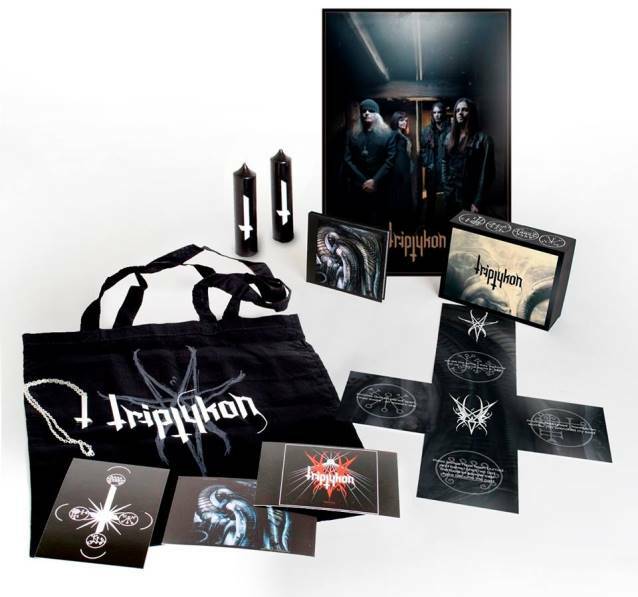 Says Fischer: "Some time ago, I voiced my personal disapproval regarding the original concept for the planned TRIPTYKON 'Melana Chasmata' box set as scheduled for release by our licensing partner, Century Media Records. It is to Century Media Records' credit that they listened and subsequently approached me to address my misgivings and create a box set that represents the group's ideas and intentions far more comprehensively. I am grateful for such an open and creative collaboration, and I deeply respect Century Media Records for sparing neither effort nor expenditure to please TRIPTYKON and the band's audience. I wish record labels would have acted like this in the 1980s." "Melana Chasmata" was released on April 15 (one day earlier internationally). 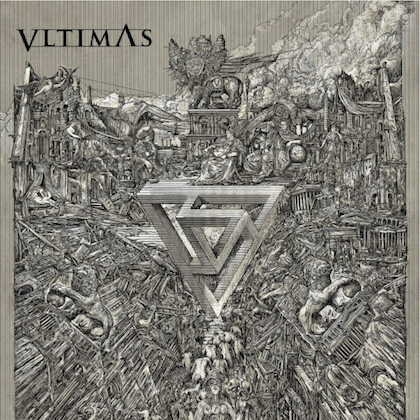 The CD was made available through a collaboration between TRIPTYKON's own label, Prowling Death Records Ltd., and renowned metal giant Century Media Records. This is the same label partnership already responsible for CELTIC FROST's final album, "Monotheist" (2006), HELLHAMMER's "Demon Entrails" demo compendium (2008), and TRIPTYKON's debut album, "Eparistera Daimones", and "Shatter" EP (2010). 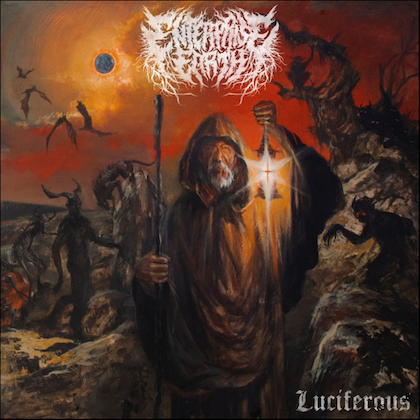 Like its predecessor "Eparistera Daimones", the album was produced by TRIPTYKON's singer/guitarist Tom Gabriel Warrior and guitarist V. Santura and recorded and mixed at V. Santura's own Woodshed Studio in southern Germany as well as at TRIPTYKON's rehearsal facilities in Zurich, Switzerland, in 2013 and 2014. Those who have heard "Melana Chasmata" have described it as "atmospheric, dark, diabolical, and dramatic", "diverse, epic, and doomy, but on an entirely different level", "a fierce boulder of abhorrence", or "very heavy and yet very aesthetic at the same time". To commemorate the unveiling of "Melana Chasmata", Century Media has released a collector's gatefold seven-inch vinyl single, featuring the songs "Breathing" and "Boleskine House". The single was made available on March 17, and is limited to a pressing 1000 (of which 200 are in red vinyl). "Breathing" and "Boleskine House" are also available as a digital single (including the option for a digital booklet), and they are being streamed via the YouTube clips below. "Melana Chasmata" is further distinguished by featuring, for the second time for TRIPTYKON, the extraordinary art of legendary Swiss surrealist HR Giger. 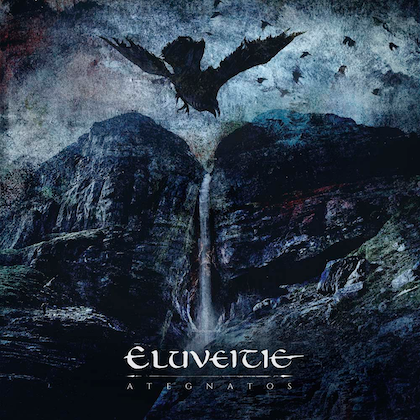 Following "Eparistera Daimones", the group began to make arrangements for an entirely different cover for the second album. 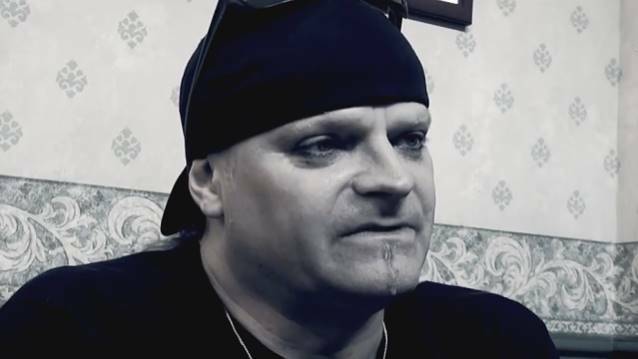 Completely unexpectedly, HR Giger approached Tom Gabriel Warrior in October of 2011 to express his appreciation of how TRIPTYKON had used his art on the first album and to propose a continuation of the artistic collaboration. This development thus marks the first time any musical artist has worked with HR Giger on three albums (CELTIC FROST's "To Mega Therion", and TRIPTYKON's "Eparistera Daimones" and "Melana Chasmata"), and it commemorates a collaboration that has now lasted for 30 years. "Melana Chasmata" features Giger's dramatically mysterious "Mordor VII" (work no. 283, 100 x 70 cm, acrylic on wood, 1975) as a front cover and Giger's "Landschaft XVI" ["Landscape XVI"] (work no. 209, 100 x 70 cm, acrylic on paper on wood, 1972) as gatefold art.